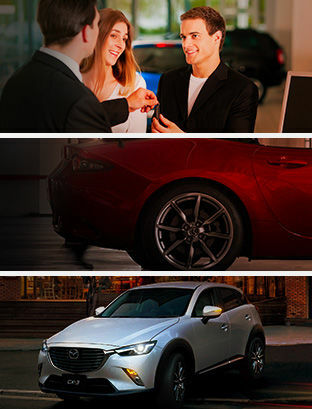 Looking for flexible and affordable financing for your next Mazda vehicle? Come to Sunridge Mazda today. Our team of financing experts will help you get the right financing or leasing plan for you, your vehicle, and your budget. We can also help you make the tough decisions. At Sunridge Mazda, financing is made easy and enjoyable. We answer all of your questions and provide you with all of the information you need to make an informed decision. Come in today and speak with our financing specialists. They will get you into the Mazda vehicle you want at the right price. You can start your financing application online right away. We will contact you as soon as we receive your request. Get rid of the fine print and dishonest sales tactics, and trust Sunridge Mazda today for all of your financing needs.